No missing washers because they are built into our design. The toilet mounts onto four anchor studs with the anchor nut and thread protector already installed. No lost parts! Fittings are shipped in a clean white box. Adjustable fittings ensure that waste is carried away properly. Adjustable face plate ensures that you can move toilet to proper height off the floor. The carrier has a smaller in wall profile than other carriers to fit in projects with space limitations. 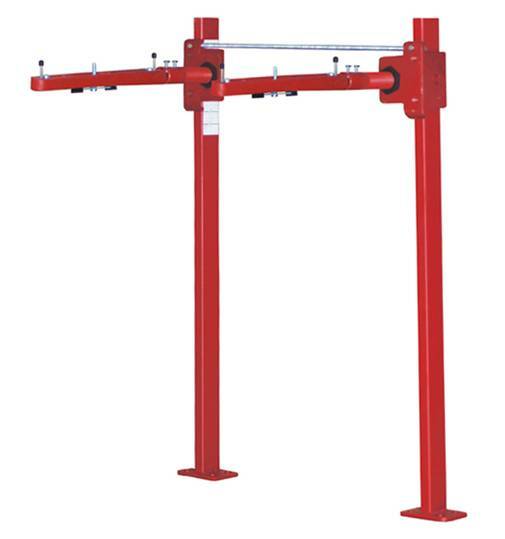 Ductile arms are adjustable in three positions. 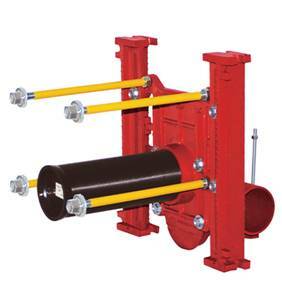 Double nut tie down tightening rod. Strongest load bearing in the industry. Harware is always assembled into arms. Only one set of arms is needed (with the exception of hadicapped access).